Manitobans have been weathering major floods since the early 1800s. In the past 60 years, the floods in 1950, 1997 and 2009 have caused substantial damage, especially along the Red River and Assiniboine River basins. And now this year, 2011, we are having the perfect storm that is resulting in massive flooding of the Assiniboine River. It will be one for the history books. The Assiniboine River is a 1,070-kilometre (660 mi) river that runs through the prairies of Western Canada in Saskatchewan and Manitoba. It is a tributary of the Red River. 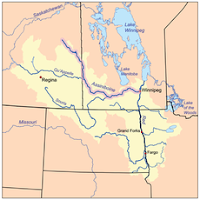 The Assiniboine is a typical meandering river with its main tributaries being the Qu'Appelle and Souris Rivers. We happen to live right on the Assiniboine River near Winnipeg. 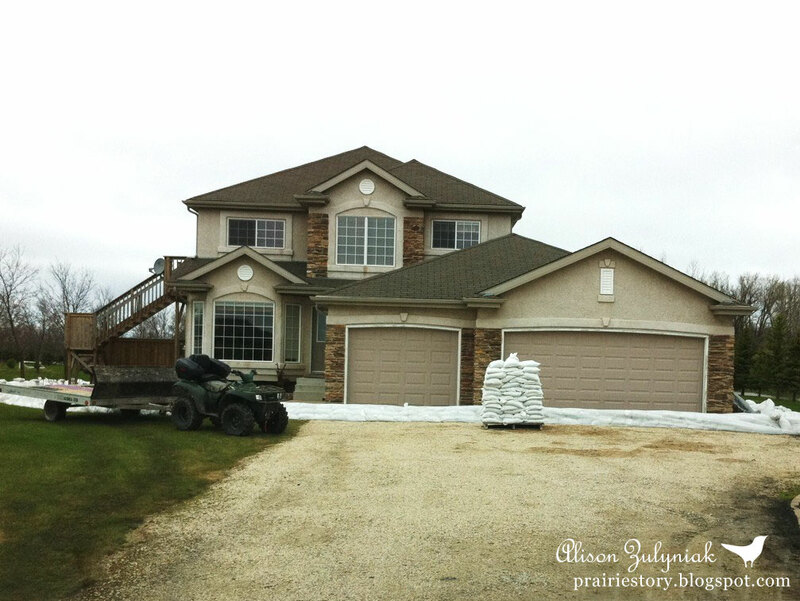 We know that our house is high, but flood forecasters advised that we still needed to protect our house with a sandbag dike. So we did. It's very hard to describe the magnitude of the flood water, but with the unprecedented flows, we've been under a state of emergency, on evacuation notice, and nearly two weeks ago the Province called in the Canadian Armed Forces to assist. A decision was made to perform a controlled breach which is currently and purposely flooding farms, fields and rural communities to direct some of the water into the La Salle River. It's been a stressful time for many Manitobans. However, I do know that there is no other place in the world where people help people like they do in Manitoba. It doesn't matter if you are family, friend, neighbor or stranger... someone will be there to help. The sense of community is what makes me most proud to be a Prairie girl. We are expecting the river to crest where we are this weekend, and I think we'll be "lucky" and not see water come up and damage our house. My thoughts and prayers to all those who are suffering and sacrificing. 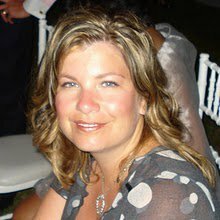 I'll be thinking of you this weekend - I hope this is all sorted out soon and everyone can start to pick up the pieces. I will say a prayer. I hope that you are spared and my heart and prayers go out to everyone there who is experiencing such an awful time. Oh I hope everything is alright! Never good to be involved in something for the history books! My paryers that the flood waters will not come up to your house and that your community finds relief soon! water damage Pasadena offers a quality water damage restoration and extraction service to pasadena area. 24/7 Water Extraction Pasadena. It undertakes every step to restore the damaged property to its original position such that the customer can recover from the loss easily. Moreover, when one seeks professional help, chances of the house items being retained are very high. So, do not think of doing the needful by oneself because such things are best done only when the right tools and skills are incorporated in unison. Water Restoration Guys offers surge harm repair benefits in Miami that address the needs of both private and business customers. Water damage experts Fort Lauderdale react immediately when your home has encountered water harm because of flooding, pipes disappointment or as the aftereffect of a blaze concealment to put out a flame in your home.